As a small token of my absolute gratitude however I will transfer a sum of £xxxx once in receipt of my settlement as I am truly appreciative of your expert guidance and swift resolution. You are beyond awesome! I do want to say that I feel very privileged to have had you on my side over this last year - and have learned much about many things through our dealings, and not just employment law! There is one more lesson. If you experience any such allegations or conflict, however trivial it may seem, always consult Gillian immediately!! You really are superb at what you do. Thanks Gillian, for standing by me and looking out for me. I will highly recommend you (if you wish) to anyone who needs an employment lawyer. I would like to take this opportunity to thank you again. You have been incredible. I can't thank you enough for your fantastic support and service over and beyond expectation. It was tough, but your professionalism and "no nonsense" stance, gave me the confidence to see it through. I have learnt a lot from you and am now inspired to consider a law conversion course. I would like to thank you for all your help during the past 5 or so gruelling months, I am not sure what I would have done without you fighting my corner, your support has been invaluable. I wish you the very best for the future, as I have said to all my friends and family if you are ever stranded on a desert Island forget the life raft, flare or last supper 'just take Gill'. I wanted to say again what an amazing help you have been to me during the last 6 months of my ordeal. You are an inspirational women and I am very glad that I found you to help me get through this. You are incredibly tough - but rightly placed. Thank you for brining this horrible affair to a good close. I cant thank you enough for that. 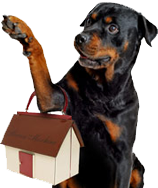 I have worked with Gillian, who styles herself as "a rottweiler with a handbag" - she should in fact style herself as a rottweiler with a prada handbag. She does exactly what she promises. Responds immediately. Takes control. Chases relentlessly and argues well for her clients. She has been perfect for the past three weeks. Gillian Howard is just that person. You have been unfailingly supportive and your passionate outrage has been incredibly reassuring. I knew, throughout the process, that you were completely on my side and really appreciated your taking responses from the other side so personally. You really have been fantastic. I really do appreciate your help - your being so immediately available is incredibly reassuring! After having been exposed to some really nasty people in the world, it's very reassuring to know that there are decent, kind and caring people like you in the world too!! That in itself is a comfort!! From the day I first met you, I knew I was in safe hands. I am also very grateful for your legendary responsiveness! We are the lucky ones to have had such excellent support and guidance from you over what was a very painful episode. Brilliant! Absolutely fantastic…. this outcome would not have been possible without your assistance. Your dogged determination and belief in me was constant. Thank you! you have changed our lives…. you went for [their] jugular and finally allowed me to breathe again. handled every detail with competitive examination, but your reassured confidence makes you the 1st choice for anyone approaching a battle. Many thanks Gill for your first class service. Gillian is known as a tenacious lawyer who achieves stunning results for her clients. Her very personal and dedicated service makes her stand out from other employment lawyers. She has acted for high profile clients including Bankers, Hedge Fund Managers, Senior Executives (women and men) and Chief Executives as well as other professional staff both in the public as well as private sector. Gillian is the Champion of the Underdog. She is equally happy representing any employee who has suffered any form of discrimination or bullying at work - one of her strengths. She is known as a fearless negotiator and winning! Gillian also represents professionals in disciplinary and regulatory proceedings. She also represents both employees and employers in occupational health cases. "I act for the underdog"
Gillian Howard is a non-solicitor. Gillian Howard is regulated by the Claims Management Regulator in respect of regulated claims management activities. Her registration is CRM 9291.
encouraging me to keep going when I was ready to give up. tungsten (the highest strength when things gets hot)."